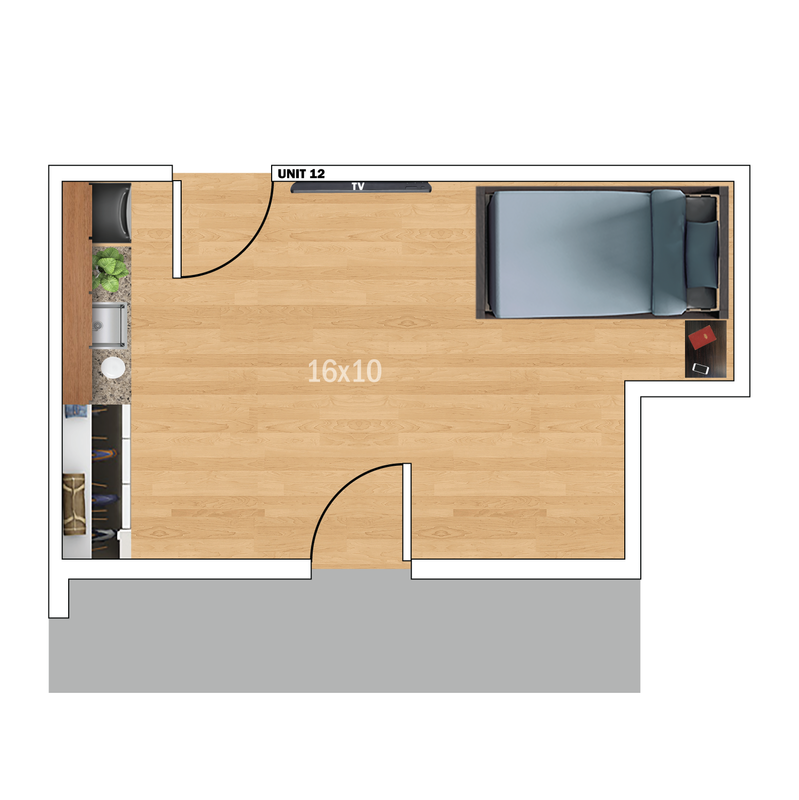 This first floor apartment is the only unit with its own patio! It comes furnished with a twin size bed and mounted flat screen TV. The kitchenette includes a sink, garbage disposal, microwave, and fridge/freezer combo. Apartment has a private PTAC unit that provides heat and air conditioning. Building offers one large common kitchen complete with dishwasher, stove, sink, and microwave, as well as coin operated commercial grade laundry facilities located on the first floor. Building completely remodeled in 2012; new laminate hard wood floors, countertops, cherry cabinets and closet organizers installed! Wireless internet is included!